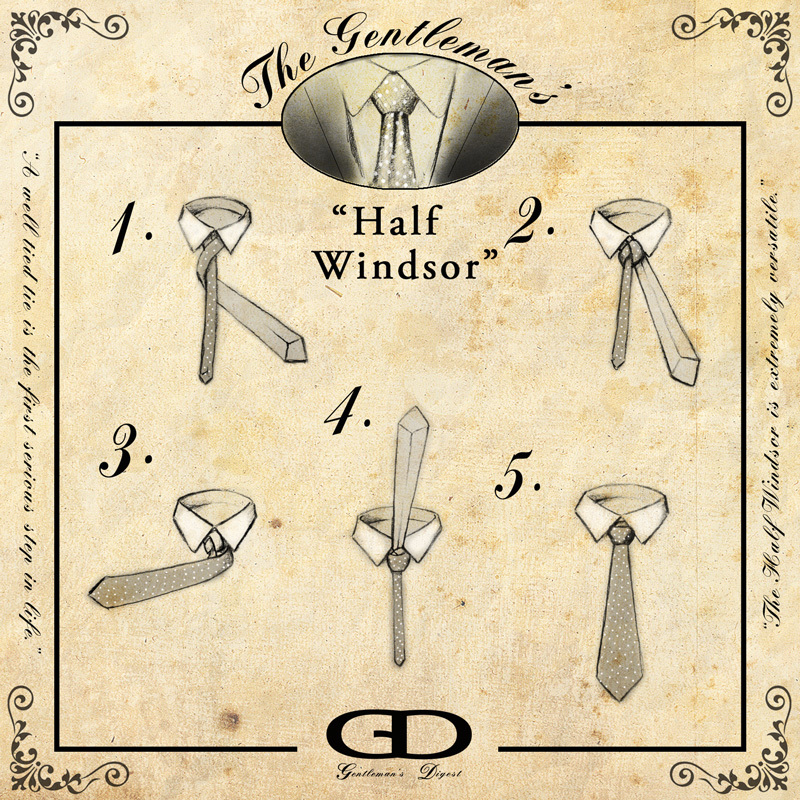 The [demi] half-windsor is almost symmetrical, which gives it a more formal look, compared to the simpler four-in-hand. It is also slightly bigger and bulkier in size, which makes it extremely versatile in its use with a variety of collar shapes, covering everything from point to medium-spread collars. With a narrower point collar, however, it will be difficult to create a reasonably sized knot with heavy fabrics. Material: Half-windsor knots, because of the larger size, are best used for light and medium fabrics such as silk. See our articles on Presentation and Interview techniques, as this knot has our highest recommendation for both occasions.